"Transit service resource", "Slavneft-YANOS" and "Greif Yaroslavl" organized packing of various grades of road and other bitumen in a intermediate bulk container of IBC Clovertainer type with capacity of 1000 liters at the Yaroslavl refinery in 2009. 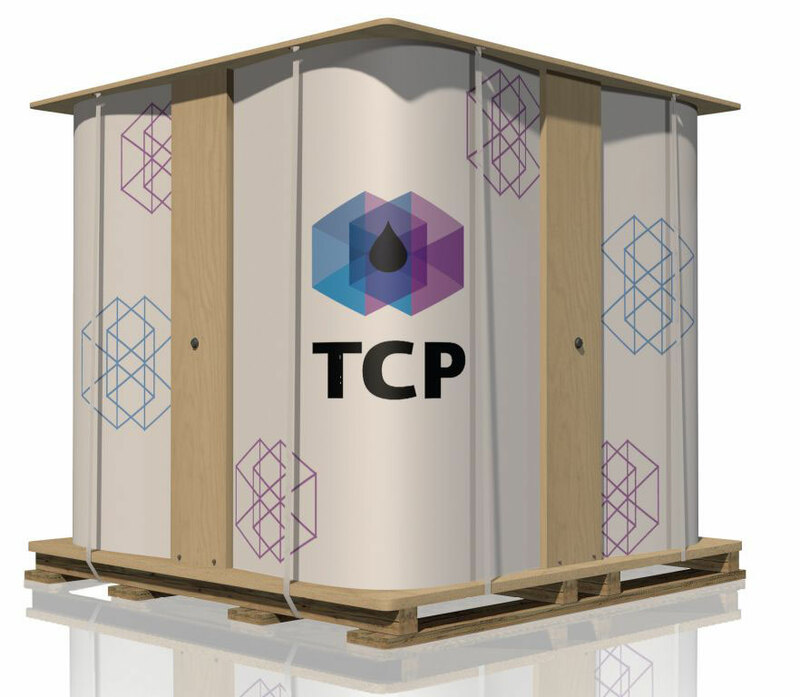 The intermediate bulkcontainer (IBC) is intended for packing, transportation and storage of oil bitumen, bitumen compositions, raw materials for production of bitumen, tar, mastics and other similar petroleum products with a softening point not lower than 35C. View presentation and video here. and components in accordance with the design documentation. The Certificate of Compliance see here. - the presence of side-shift carriage forks. 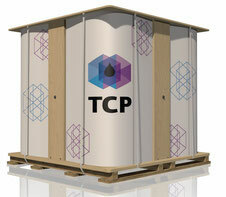 Storage of IBC Clovertainer’s must be done in the conditions of category 3 according the GOST 15150 (the temperature from minus 50 ºC to plus 50 ºC, relative humidity untill 98%). Allowed storage of BC Clovertainer’s on the opened place equipped by ten protected from the influence of an atmospheric precipitation. Cube shape provides convenient handling during loading / unloading works, compact accommodation in multi-level storage and optimization of the transportation process, i.e. saving transport and storage costs are obvious. usage of 20 ton containers of up to 96%, and of covered railway wagons up to 95%. Specific container weight is not more than 7 % from weight of the filled bitumen IBC and is the lowest among similar disposable and reusable containers for the transportation of bitumen. Recycling is not provided. Environment friendly packaging. Factors such as weight and type of packaging material have the greatest impact on the environment according to scientific research by Institute of energy and environment (USA). All environmental parameters leader board. The negative impact of the use and disposal of packaging is minimal since IBC packaging by 98% made from natural materials : cardboard, plywood and timber.